Finally! 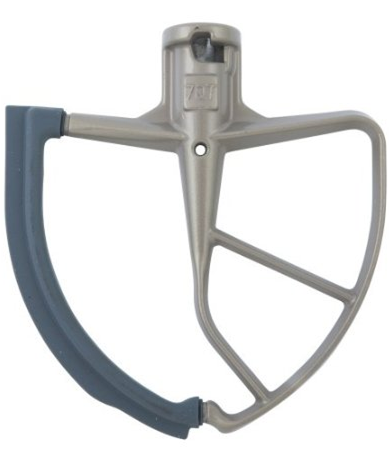 A scraper Blade for Kitchenaid mixers! My original mixer is lovely, but the batter beater is always JUUSSSST out of reach of all the flour and dry ingredients….this will help me stop having to walk by and tip things back into the mix. Ingenious my friends…ingenious. This girl is craving a Ribeye Steak. Yes. It’s summer, it’s grilling season and I’m from Texas. Every now and again, it’s time to lay one down on the flames (ever so slightly, I’m a rare steak kind of girl) and then just savor the taste of good flavored meat. I like it simple and classic – mushrooms and creamed spinach perhaps, or grilled corn if we’re going for backyard style. I’m kind curious about these new calorie counting or whatever bracelets. I’d like to track my workouts more and even know if they are still effective. 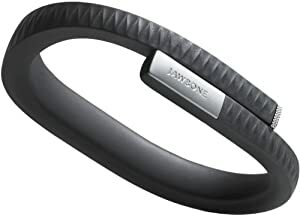 After doing my homework, I think I’m settled on this UP by Jawbone Bracelet. It tracks your calories burned, steps and how much time you spend active vs. sedentary, working in an office, I think this would be something good to know. Perhaps time to stop emailing and start talking more! But really, back to matters that really matter – butter. I have a butter plate on my counter, and let’s be honest, that big dog is getting bigger, and I’m concerned! But I love soft butter. What a first world problem. This simple crock may be the answer, and a stylish one at that! And if it’s not butter, it’s wine, let’s admit it people. 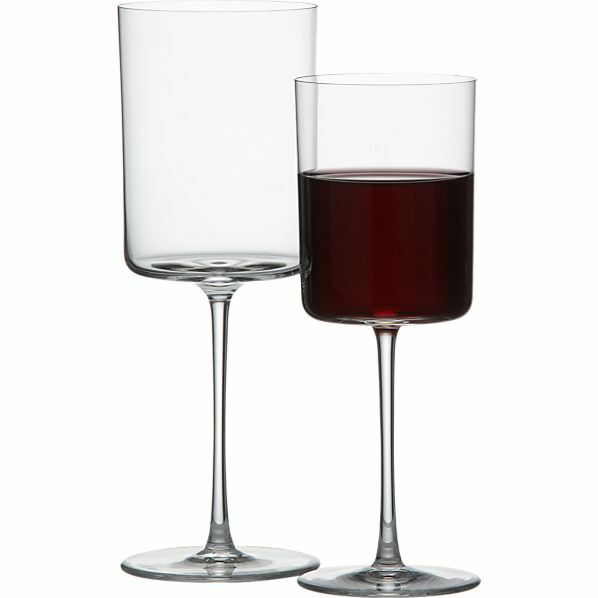 I have adored these wine glasses from Crate&Barrel for I don’t know…ever. The flat bottom of the glass itself just makes it feel so super cool Mad Men who finally stop drinking whiskey and pour some vino. I think these would jazz up plain white plates…but in a steathily cool “Something has changed here…but I’m not sure what.” sort of way. I know, I know, I had that whole room thing with a side table just like it. But I’m loving this kitchen cart so much. I almost want to take it to the office as it matches mine near perfectly. But…that said, I want this to tote around items in the kitchen, perhaps even serve guests something out of…there seems to be a load of possibilities with this gem on wheels. I’m trying to get my life together on my birthday party next year. Just to have a fun party I think a photo booth would be super fun. It’s being done everywhere, I’m ready to take the plunge. I think one of these guys would make a great little photo booth camera – like Polaroid’s instant pictures…but with better sizes and clearer photos! I’m not a huge jewelery wearer, but when I do, I love something with text on it. 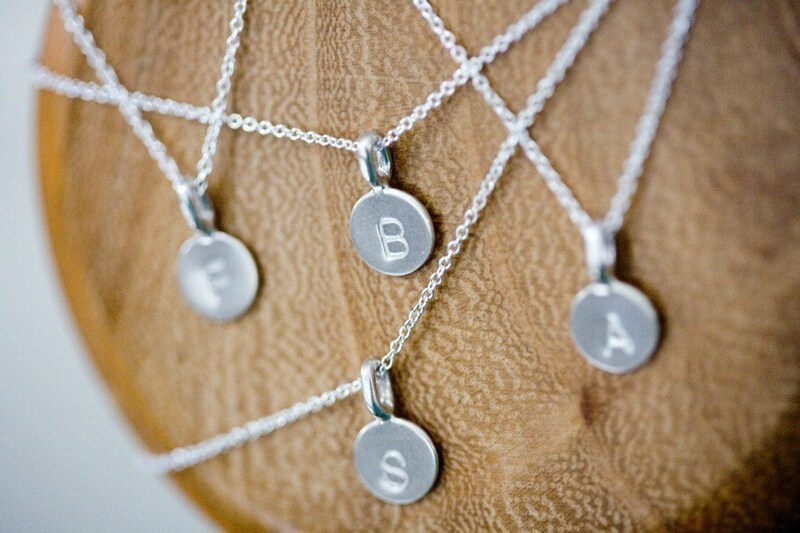 No different, these necklaces would be great with your or someone special’s initials…or both! Visiting Houston and in need of something fun and unique to do? How about a culinary tour? I just saw this posted in the paper not too long ago and for what I consider a small price tag for the value you get, let’s say this is DEFINITELY something that makes Houston…Houston….it’s FOOD! It would be truly hard to do an all Houston tour, so they’ve broken them down into some seriously fun sounding themes. What a great date idea too! And a little around what to wear. When you like swing dancing and vintage retro coolness is how you kick it, then you and I my friend – let’s share closets. I found this great dotty dress perusing the interwebs. I love something that’s affordable and comfortable. It’s hateful to get something that I sent away for (who uses that phrase anymore?) and have it be SO CUTE, and then not work out fit wise – just note, this is a UK site…and UK sizes are different! Speaking of what to wear, I’m on this stripey or chevrony loop at the moment. 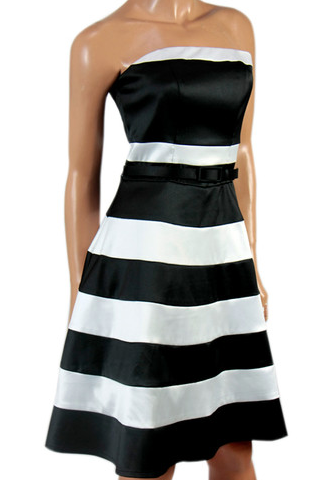 I don’t have anywhere to wear it, but how striking is this black and white number for a wedding? Does it count if it’s not all white as still chic? Adoring the way that it’s just not a solid boring “cocktail dress” number..must remember to stretch my limits looking in the future….I always find myself turning to “what I normally wear” and pehraps it’s time to peruse pinterest before hitting the town! How cool is this little diddy? Stick it on a mason jar and BAM! You have a bento. I’ve already gotten a ton of uses in store for this lovely object. Carrot sticks and ranch? Soup with croutons? Dressing and my salad? I think my love of mason jars and their million uses just upticked one more! How cute is this? 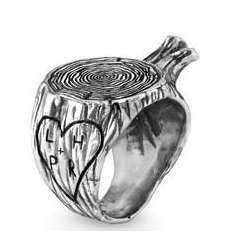 A lover of the Children’s Book “The GIving Tree” by Shel Silverstein, this little ring just tugged at my heartstrings. What a sweet gift for a loved one. This entry was posted in DIY, Fashion - Women, Home Fashion, Weddings & Events. Bookmark the permalink.